Experience your big day enveloped in white – quite literally. Exchange your vows in the sun-kissed Engadine, surrounded by sparkling snow. Tailor-made exclusively for you, we offer the ideal setting for your private celebration with friends and family. Situated in the midst of nature, on the outskirts of Ftan village, the Paradies offers a unique opportunity: Enjoy the comfort of having a hotel all to yourself! On request the bridal couple can book the entire establishment, including service and hotel kitchen, for a wedding with up to 150 guests. When planning your special day, we don’t leave anything up to chance. Our experienced team at Hotel Paradies can provide everything you need for the perfect celebration. Rest assured – you’re in excellent hands. 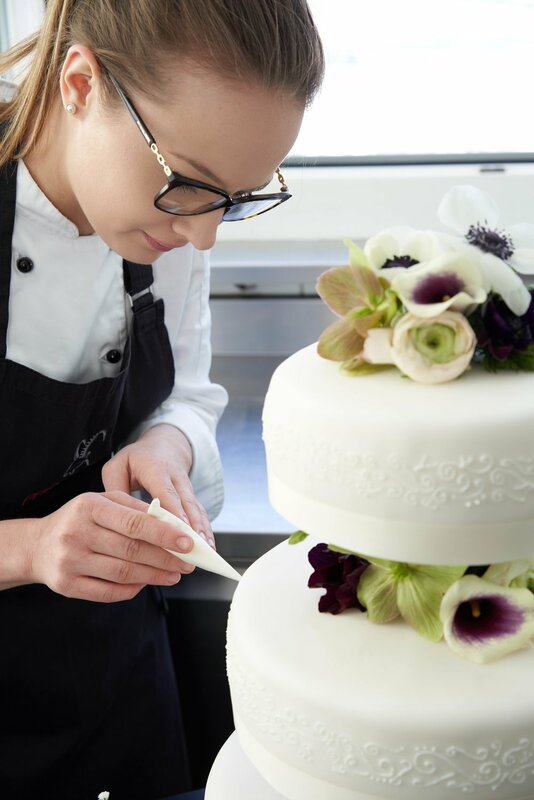 In the spa, our beautician will be at hand to add the finishing touches to bride and groom, while we take care of the floral arrangements – sourced from regional nurseries of course. All decorations in the house and on the cherry-wood banquet table will be designed according to your requests. 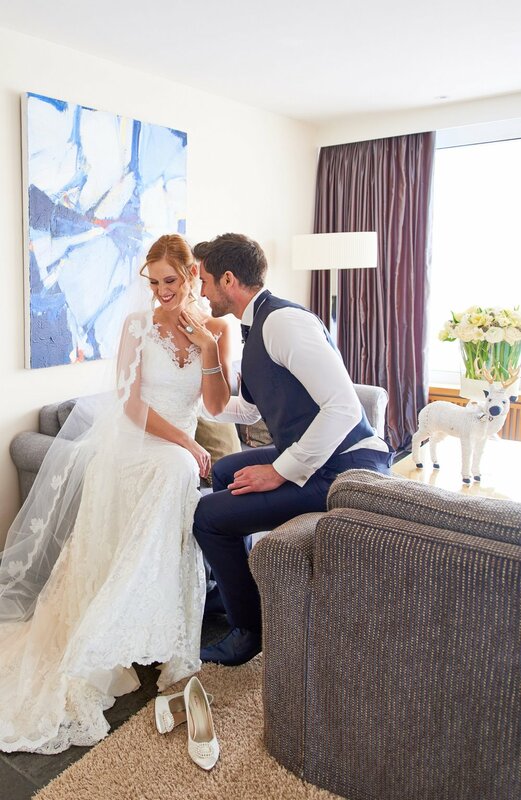 Hotel Director Meike Bambach will personally work with you to create an individual and bespoke programme for your big day. 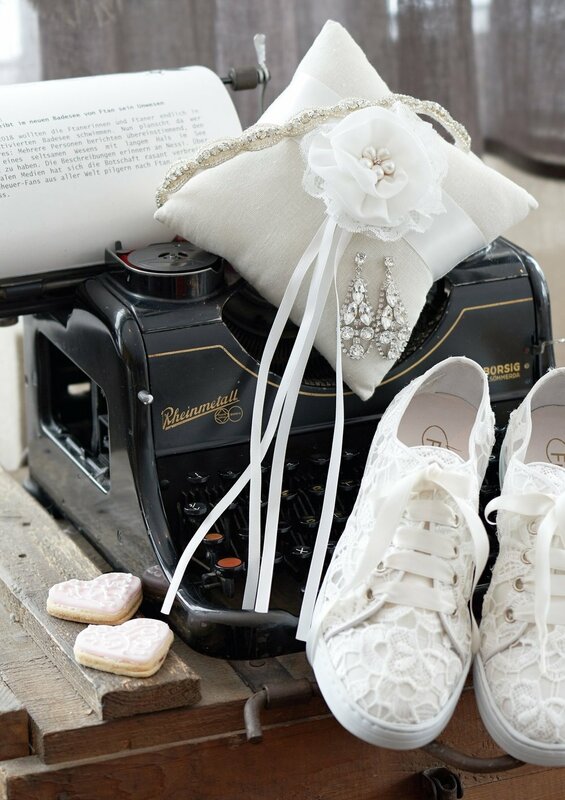 Benefit from her many years of experience as a passionate wedding and event planner. 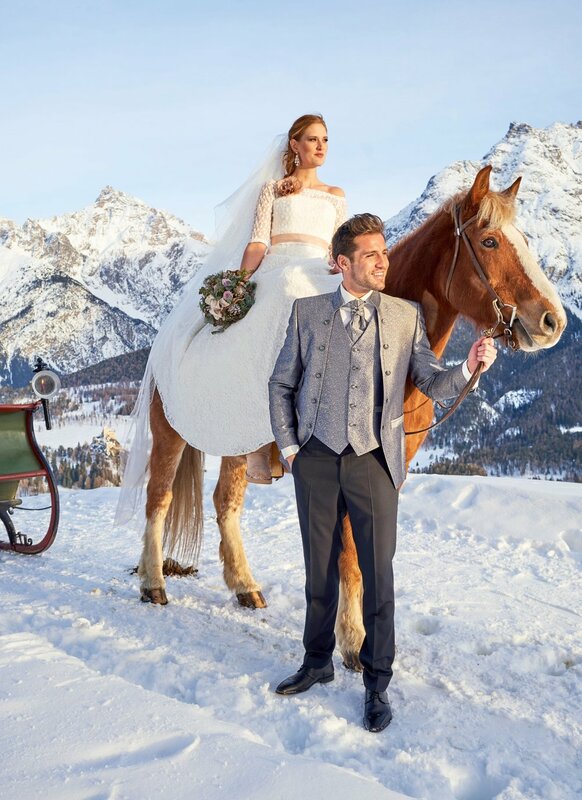 A romantic ride in a horse-drawn sleigh, the ceremony in our pretty Engadine village church, blazing torches under a steel-blue sky – the white dream becomes reality. The only possible answer to an experience like this is ‘Yes’. 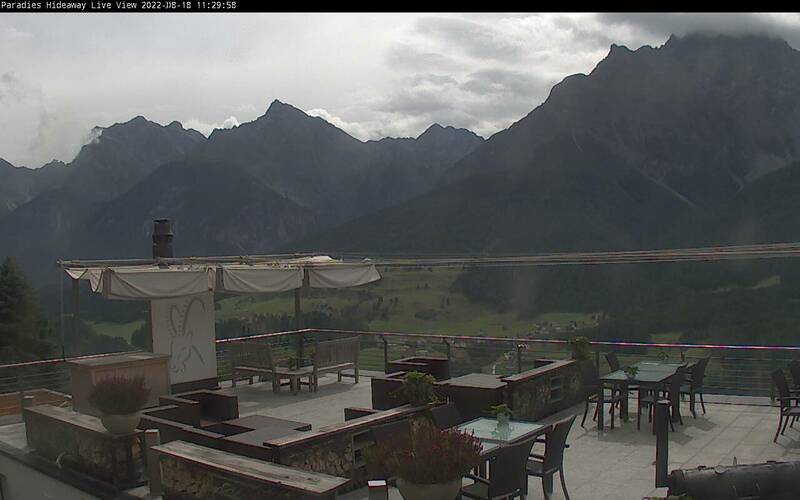 Drinks and nibbles will be served on our sun terrace – either at the snow bar or in loungers draped with stylish skins. Those who wish can treat themselves to a winter stroll, or relax in our “Garten Eden” spa. By the time the band strikes up in the evening it has long become clear: Hotel Paradies is focused from head to toe on your well-being and that of your guests. Do you have any furher questions? Please do not hesitate to contact us. We are looking forward to arrange your most beautiful day together with you.